Southend Pier stretches for more than a mile and is the world's longest pier. In 2005 an electrical fault resulted in a fi re which destroyed part of the structure. It has now reopened to some degree, enabling access for anglers. A train travels the length of the pier, cost is £3 return. Some areas are still out of bounds, but there are plenty of spots to fish. These are the Stern and the Pier Head, both offering fishing throughout the year. The Stern can be fished on average four hours either side of high water. Pier opening times, tel: 01702 611889. January to April produces flounders, eels and codling. May and June give flounders, plaice, eels, garfish, shad and small bass. The southern half of the Stern tends to produce more garfish, shad and the first mackerel. Winter fishing produces whiting, codling and flounders. The Pier Head also produces larger bass from summer through to the winter, together with dabs, whiting, pouting and codling. Some areas, mainly the south face, have fast tides and many snags. Ragworms, lugworms, mackerel, squid and peeler crabs. Mackerel like thin strips of mackerel skin and can be caught on float gear. You should check whether or not feathering is allowed. Small livebaits are worth trying for bass. Mullet take small fish baits, but later in the year use bread and small ragworms. Use a standard beachcaster or bass rod, multipier or fixed-spool reel, 15lb line, 60lb shockleader, grip lead and either a two-hook paternoster or Pennell rig. From the M25, take the A127, which is signposted to Southend. This road leads into the town centre (Victoria Avenue), then go left into Southchurch Rd (A13) and follow the signs for the seafront. You can’t miss the pier. Alexandra Angling Centre, 21 Alexandra St, Southend, tel: 01702 437066. Bait 'n' Tackle Centre, 258a Southchurch Rd, Southend, tel: 01702 617764. 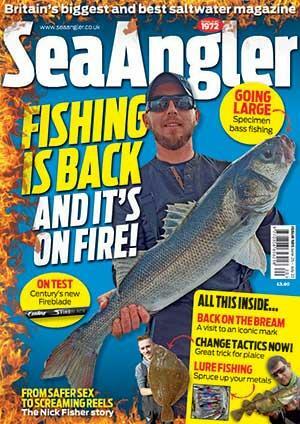 Essex Angling Centre, 109 Leigh Rd, Leigh on Sea, tel: 01702 711231. Jetty Anglers, 47 Eastern Esplanade, Southend, tel: 01702 611826.